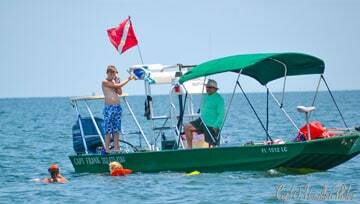 Scalloping trips begin July 1st and go through September 25. Come join me for the great hunt. Last year was amazing and we limited on nearly every trip! My boat is a 21′ Duracraft equipped with a Bimini top for shade. 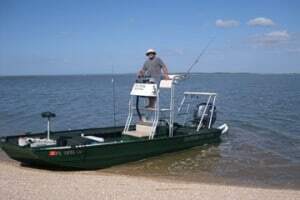 Equipped with steps on the rear for easy in and out of water access and full carpet so no slipping or sliding. Two trips daily, morning/ afternoon. I supply mask/fins/snorkel/scallop bags/and license. The cost is $75.00/person. I can accommodate 6 people nicely. If you have a larger party, I can arrange for additional boats and captains. 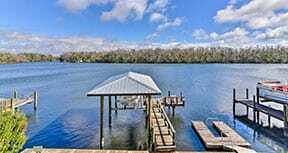 There will be a $100.00 deposit on all charters. Cash or credit cards are accepted and I have a card reader on the boat. I don’t clean scallops, but I will show you how, or refer you to someone at the dock that does. What to bring – food and beverages. That’s all it takes. 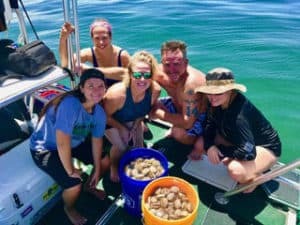 Let’s go scallop hunting!!! 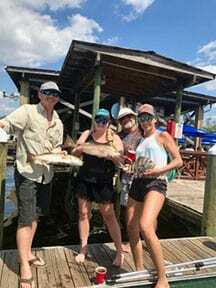 Fishing is always great and we catch lots of different species: trout, redfish, grouper, spanish mackerel, cobia and many more. 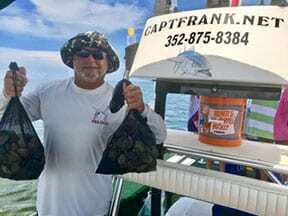 Just fishing – $350.00/ half day, $450/full day. All gear included. Fishing license included. It’s always a good time whether you decide to scallop, fish, or do both!